I haven’t participated in a quilt challenge in a few years, but I just signed up for one! It’s a challenge put on by BadAss Quilters Society / Spool and the theme is Game of Thrones. There were two different colorways to choose from. I chose “Blood, Stone, Steel and Fire” and my idea uses a few different techniques I’ve never tried before… so I’m nervous that my idea may not work out, but I’m ready to give it a good try. 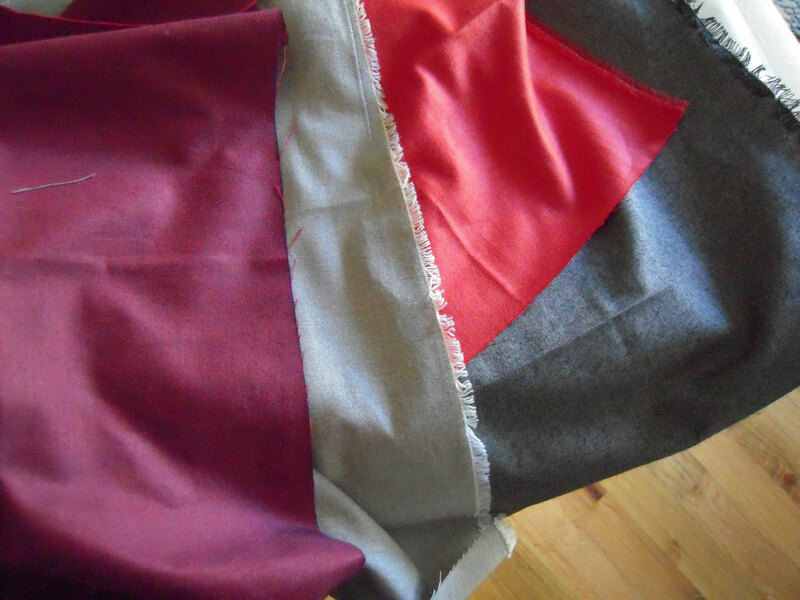 The challenge is to use only the 4 fabrics (shown above) to create the quilt – I can use any backing. They sent 4 fat quarters to use, and I’m hoping it’s enough, if not I can buy more. It’s the Peppered Cottons line by Pepper Cory, and I love it! Appliqué is part of my plan. I’m doing a characters face – not saying who just yet, but it’s one of my favorite characters. If I can make this work, I’ll be doing a few of these ‘portrait’ type quilts. It will be interesting to see how well I can cut my pieces using a woven fabric like this. Anyone else a Game of Thrones fan? Who is your favorite character? OMG I will so be keeping an eye on this challenge! Good luck with yours.